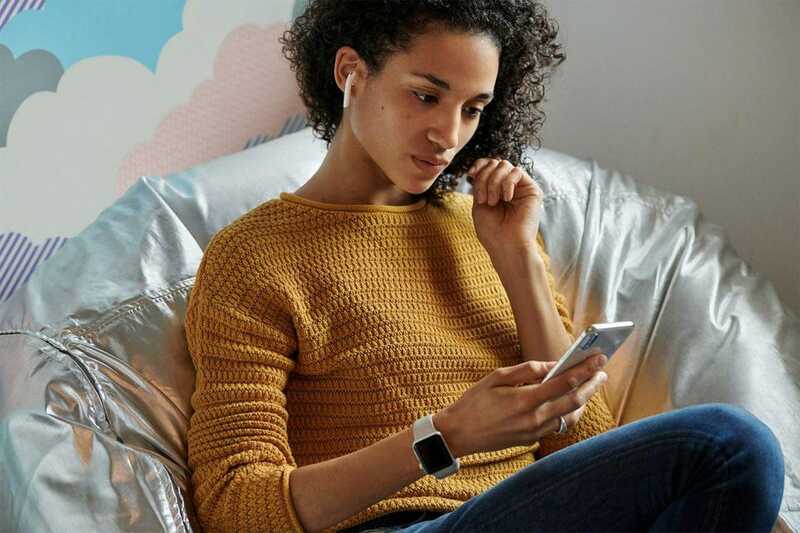 This week in wearable news, Apple’s AirPods were taken apart and analyzed, Apple’s Beats audio company unleashed an AirPods rival, and rumors started bubbling that Amazon’s looking to make its own wireless in-ear headphones with Alexa at the helm. The Week in Wearables is a news digest focused on things that have happened in the world of the tech you can wear on your wrist, perch on your head, stick in your ear, sling around your waist, tuck into the small of your back or, well, you get the idea. Apple AirPods, the new version. In its latest teardown, iFixit revealed many similarities between the first- and second-generation AirPods but spotted some changes, too. The hinge that folds back seems to be sturdier this time around, iFixit says. Sturdier is better in this context. We immediately notice that this generation’s logic board is more … goopier … than the board that emerged from the wreckage of the first AirPod fiasco —probably to help with water resistance. I’m not sure that goopier is a word I’ve come across in such a technical environment before, but if it means greater water resistance, then that can only be a good thing. 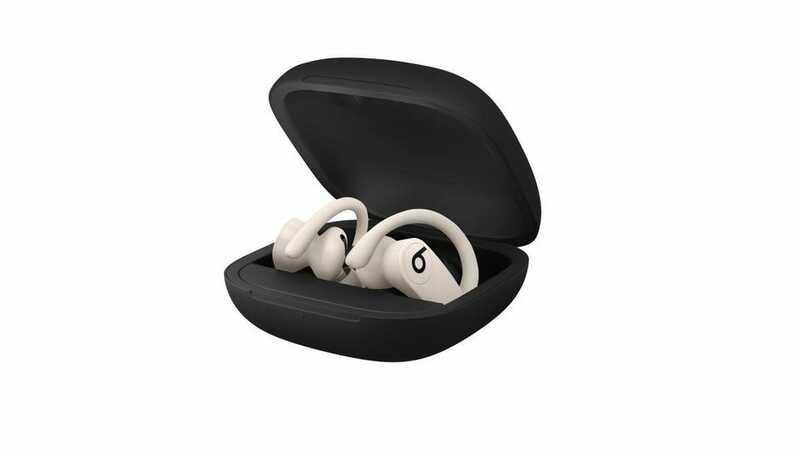 Powerbeats Pro in ivory finish in the rechargeable battery case. Scarcely had Apple’s AirPods been unveiled but the Apple-owned Beat got in on the in-ear action with its own model, Powerbeats Pro. Like the second-generation AirPods, it features the new H1 chip. Like the Apple AirPods, these headphones are true-wireless, so there’s no band between the two buds. Powerbeats, the company says, are the number 1 fitness headphones in the world and claims the new version is a serious upgrade. That’s the new chip found exclusively – until today – on the latest AirPods. It’s designed for an efficient, stable wireless connection to your smartphone. It’s also the hardware that powers hands-free Siri on the new AirPods and here. So, if you’re connected to an iPhone, you can simply say, “Hey, Siri” and the Powerbeats Pro will respond. Such as the way, if you take an AirPod out of your ear because someone’s talking to you, the music you’re listening to pauses, starting playback again as soon as you put it back. Powerbeats Pro has this feature, too. Similarly, pairing with an iPhone begins the second you open the charging case and it is then automatically supported by any device that has your Apple ID account on it. You can use Powerbeats Pro as a pair or either one at a time – another AirPods feature. More details, here on Forbes. Fitbit and Snapchat link up to put your avatar on your wrist. 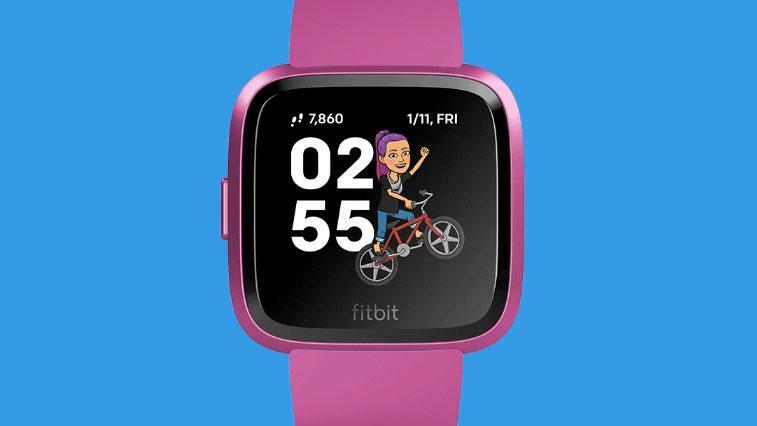 As James Peckham reports at Tech Radar, a connection between Snapchat and Fitbit adds a cute extra on your Versa or Ionic watch face. What your Bitmoji is doing will vary on what you’re trying to achieve or what time of day it is. If you’re nearing the time to go to sleep, you’ll be greeted by your character sleepwalking. More to read at Tech Radar. Taking an ECG reading on Apple Watch Series 4. Last week, Apple Watch’s ECG and heart rhythm features went live across Europe and beyond. ECG, also known as EKG, checks how regular your heart rate is, and can help spot issues like irregular rhythm, such as atrial fibrillation, also known as AFib, which can lead to serious medical issues. So, including this capability on the Apple Watch ups the Watch’s capabilities as a healthcare accessory significantly. Since the feature launched in the U.S. in December last year, there have been numerous stories of wearers receiving potentially life-saving treatment, all because their Watch suggested they ought to speak to their doctor. From today, thanks to clearance in Europe, 19 countries in the European Union and European Economic Area have access to the same capabilities. That’s ECG on Apple Watch Series 4 and irregular rhythm notification on Apple Watch Series 1 and later. Lots more to read, here at Forbes. 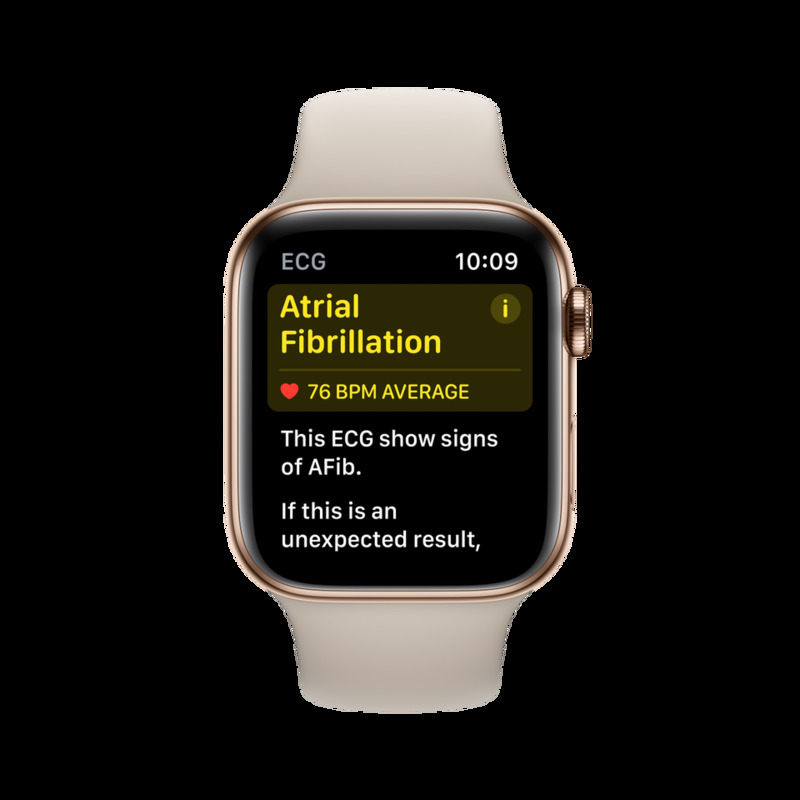 The Apple Watch showing Atrial fibrillation recognized. But there’s also more evidence of the emphasis Apple is putting on health and wellness, as reported by Wareable. It’s been nearly four years since Apple ResearchKit was announced – a platform that allowed Apple to harness the iPhone and Apple Watch for clinical purposes and further its health and wellness ambitions. However, while the iPhone’s app ecosystem was already mature and ready to welcome partners for research at that time, the Apple Watch, which only launched in 2015, has taken more time to be adopted successfully in trials. We’re now seeing the potential of its innate tracking capabilities, though, and some of the early studies hint at how powerful the device could be in years to come. In 2018, Apple donated 1,000 Apple Watch devices to a study related to overeating and bulimia nervosa, conducted by the University of North Carolina. The study looked to identify biological changes brought on by excessive eating, or even by over-exercising and purging. In the month-long study, the researchers analyzed whether the Watch’s heart rate sensor could detect the changes associated with the symptoms. It also partnered with app Recovery Road, available on both iOS and watchOS, in order to gain more insight into participant’s eating patterns and feeling toward eating. This joined the health and heart data already recorded by the Watch, as well as genetic and bacteria tests taken to try expose an underlying cause of the disease. We’re yet to see the results of this study be published. This is a fascinating article that’s worth reading in full. It’s over at Wareable. A new rumor suggests that Amazon is developing its own wireless in-ear headphones for later this year. But a new report from Bloomberg’s Mark Gurman reveals that Apple may not dominate the smart earbuds market forever. It’s claimed that Amazon is working on its own in-ear wireless headphones, and these will respond to the word Alexa instead of Siri, of course. The report says that the Amazon model is being readied for the second half of the year. My guess is that means September if Amazon follows its pattern of the last two years with a bumper announcement event in Seattle. Gurman says the Amazon equivalent will look and behave similarly to AirPods. Really? Amazon has its own very distinctive industrial design and doesn’t come up with products that look like, anything like, Apple’s. Also, what’s the point of designing something that people will wear if others simply think you’re wearing AirPods? I believe the design is more likely to look strikingly different, even if the functionality is similar in some respects. 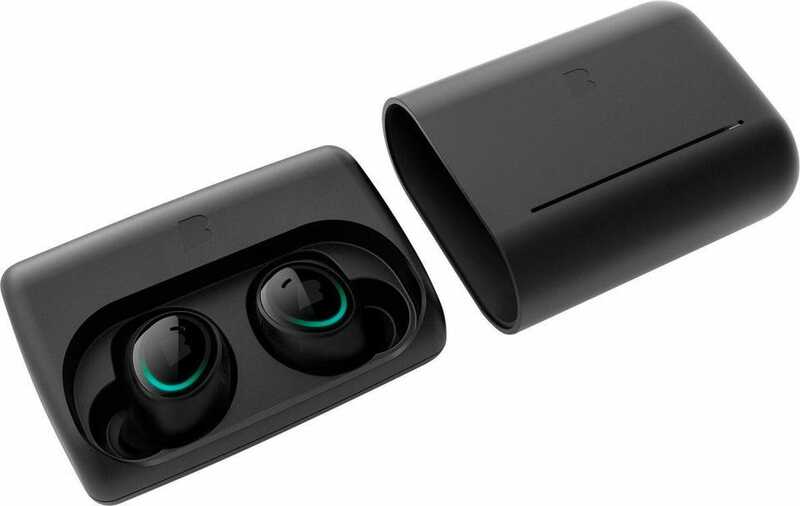 Dash True Wireless Earbuds from Bragi. The company confirmed to Wareable that it sold its product business to “a third-party buyer” in March this year. Bragi will continue to license its IP and AI, but it will no longer be creating new devices, company CEO Nikolaj Hviid confirmed. 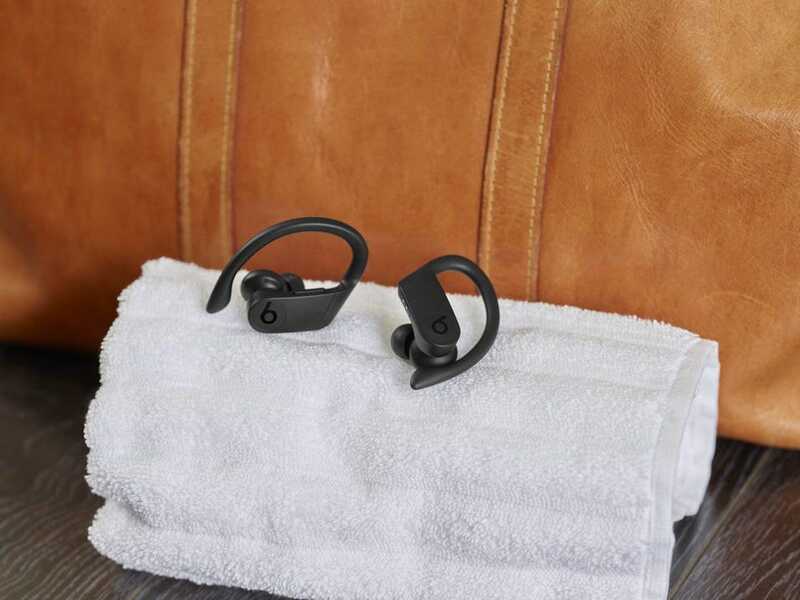 Suspicions arose back in January when all products on Bragi’s website were showing as out of stock. When we asked the company about this at the time, it told us it planned to replenish stocks of the Dash Pro and Headphone devices in the future, but as more time passed without it happening, the more apparent it was that something was wrong.